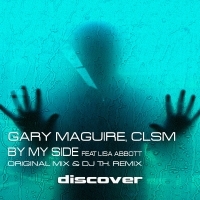 One of the biggest tracks from Gary Maguire's artist album - INSIDE - finally gets a full single release on Recoverworlds flagship Discover label. For those of you that missed the album, you are in for a real treat hearing this for the first time. For those of you that are already familiar with the track, rest assured that the remix from DJ T. H. does not disappoint. 'By My Side (feat. Lisa Abbott)' is available now from Beatport and iTunes.